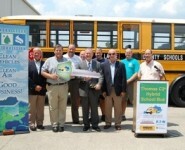 The Kentucky Clean Fuels Coalition and partners replaced 156 aging diesel school buses across Kentucky with new hybrid-electric school buses with an average of 35% greater fuel efficiency. 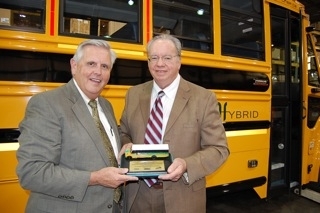 Federal and state funding of approximately $28 million provided the incremental cost of the hybrid system to Kentucky school districts ordering new buses through the Hybrid Horsepower for Kentucky Schools project. 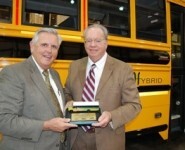 The project has collectively saved almost 200,000 gallons of fuel and saved school districts over $700,000. 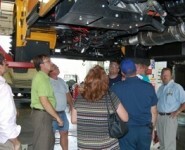 These fuel savings are expected to continue over the fourteen year life span of the vehicles. 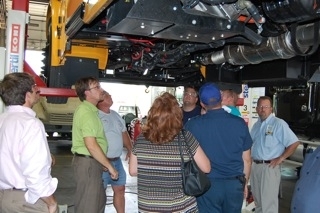 The purpose of the four year project was to provide real world performance data and engage and educate diverse stakeholders from industry, school systems, and the community. 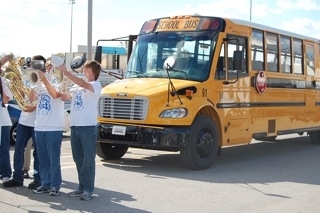 Bus procurement ran from 2009-2011, mileage and fuel data were tracked from 2010-2013, and education and engagement was ongoing from project implementation in mid-2009 to project completion in December 2013. 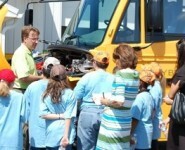 The project resulted in a large publicly available dataset tracking the monthly mileage and fuel used by each hybrid bus across a variety of topographies and urban and rural routes; multi-disciplinary hybrid-electric school bus elementary and secondary education curricula; training programs for first responders, drivers, and technicians; and real life bus and hybrid system performance experience that can be leveraged by manufacturers to improve future performance. 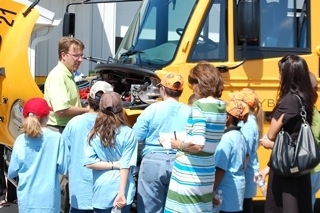 The Hybrid Horsepower for Kentucky Schools project was funded by the U.S. Department of Energy and the Kentucky Department of Education. 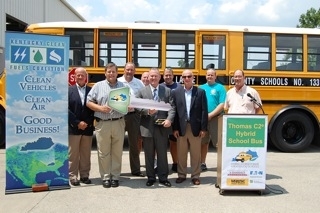 It was executed in partnership with the Kentucky Clean Fuels Coalition, Eaton, ThomasBuilt Bus, International Bus, and the National Energy Education Development (NEED) project. A project summary report (pdf) can be downloaded here.